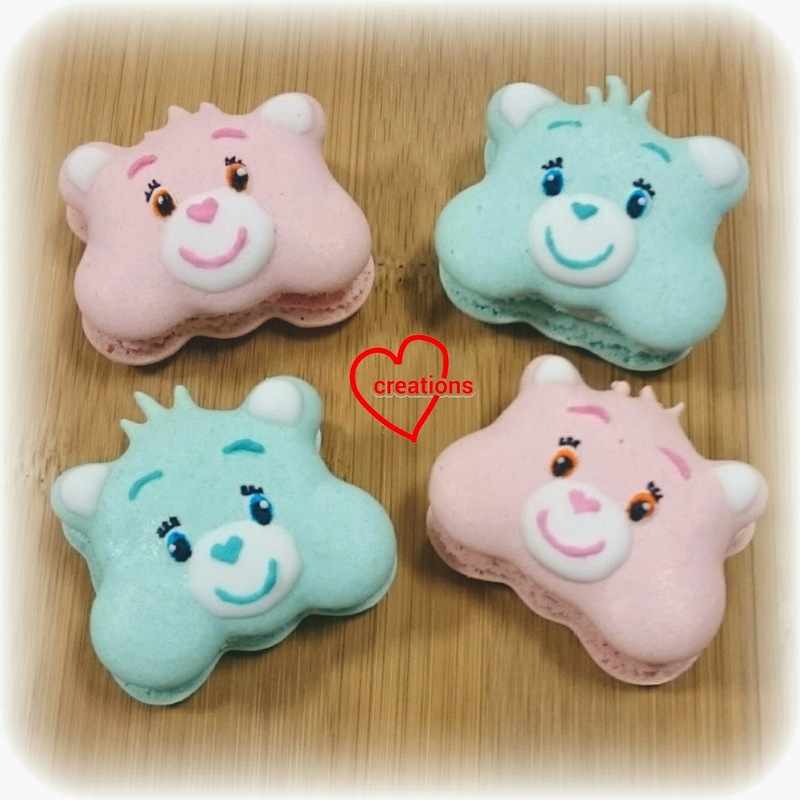 These overly-chubby Care Bears are a product of leftover macaron batter from my killer heels bake! 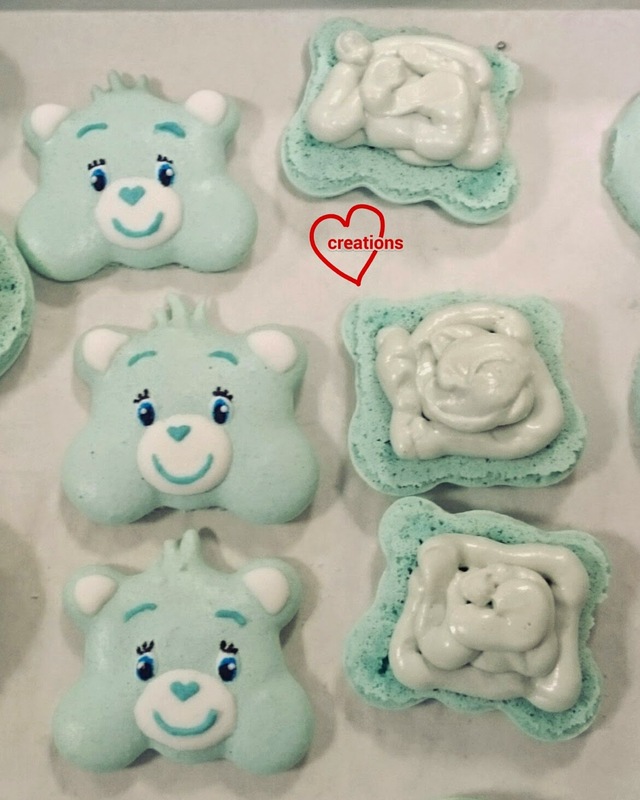 Hubby always griped about the lack of cheeks on Care Bears nowadays, as compared to the original ones back in the '80s when we were kids. 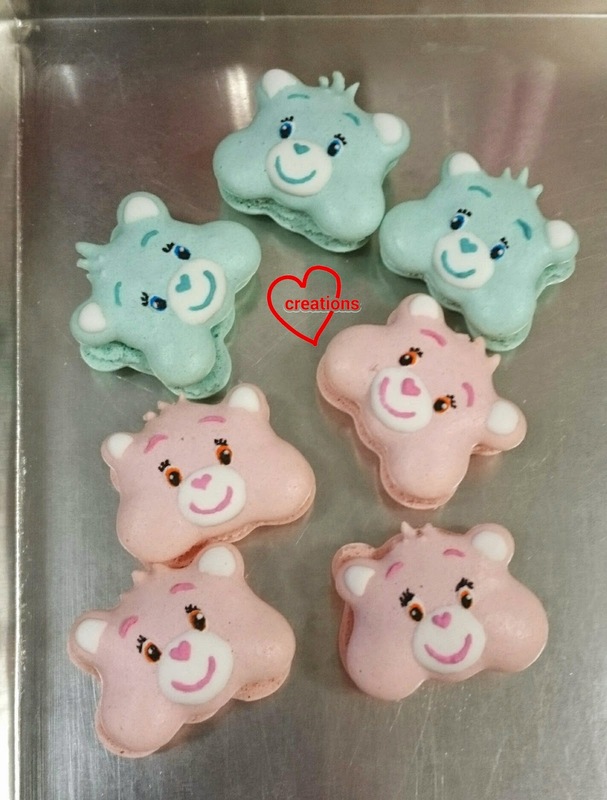 With that in mind, I accidentally gave these beary macarons too much cheek! 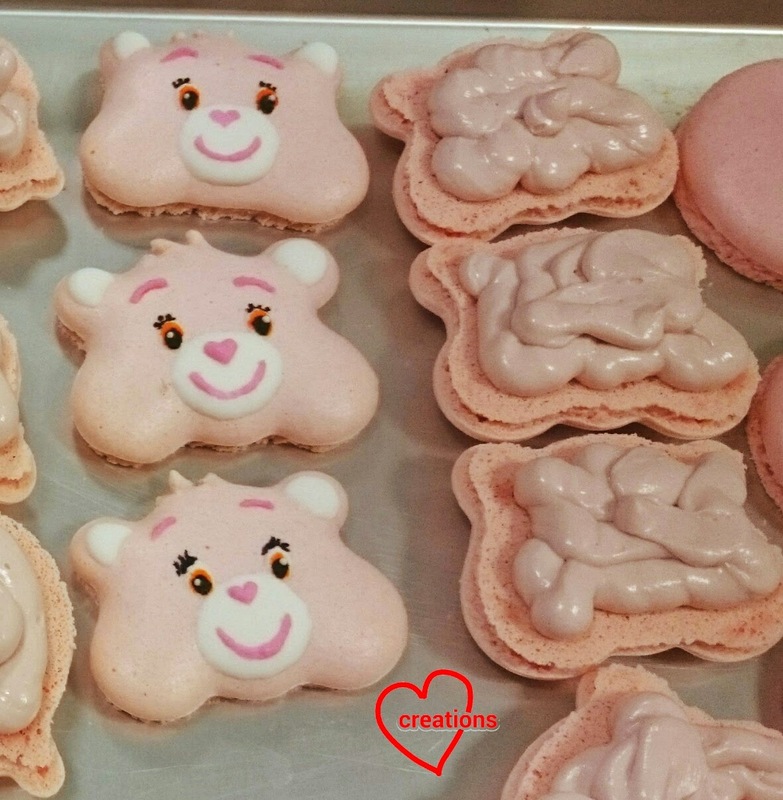 Please refer to the recipe from my killer heels bake for these macarons (shells and filling). I used a combination of Wilton #8 and #10 tip to pipe the bear face, and toothpick to pull out the hair strands. Omit the hair for the bottom shell. 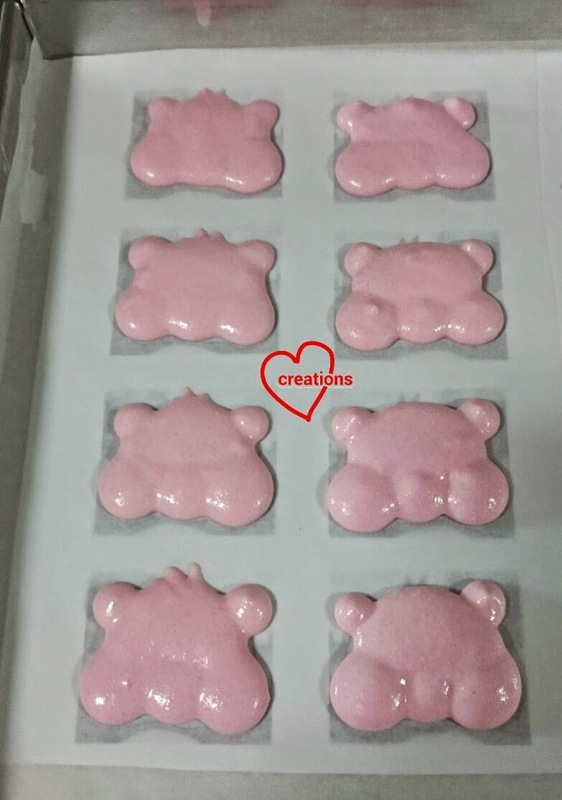 Freshly iced/drawn on features with royal icing and edible marker. Hubby wanted one blue bear reserved for him as it's one of his childhood favorites and is more than happy to have a pink one too :). He finds them so irresistibly cute! Yes, agree they are 'so irresistibly cute' ! Feel like pinching their chubby cheeks leh ! I also feel like pinching their cheeks!! So pretty. Can you share how you did the features for this one? 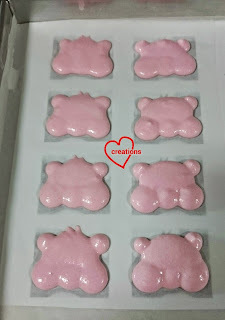 White area is royal icing i suppose and how did you do the eyes? Thanks Rachel :). All features are done using royal icing. I use a toothpick or needle to add on the really fine features. Hi i have been using the french method and somehow my macaron seems abit more on the thicker side i.e not as smooth a surface as ur after piping Any idea why? Awesome macs. NEVER seen anything like this! One question if it's ok with you please. 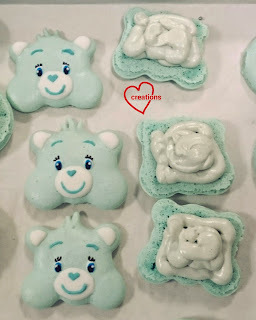 Do you first pipe the whole bear shape with #10 icing tip and then do the cheeks, muzzle and ears a bit later with #8? I pipe immediately after. 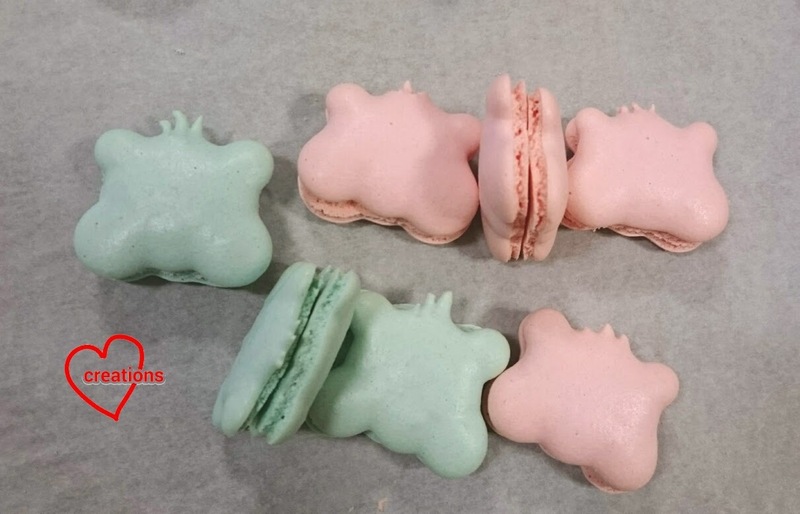 You can see from the baked shells that the surface of the macaron is flat and not like 3D pop up feature. Oh my! I am SO grateful to you for the super quick response. Thank you and God bless you! I'll try but am pretty shaky lol. Last time I piped over the macs cracked in the oven!